US President Donald Trump threatened Wednesday to impose tariffs on European auto imports if he is unable to strike a trade deal with the EU. "We're negotiating. If we don't make the deal, we'll do the tariffs," Trump told reporters in response to a question on new tariffs. Trump's renewed threat against the EU auto industry takes on a new edge as it came two days after the Commerce Department delivered a report that sources said found European car imports constitute a national security threat to the United States. The report could set the stage for the White House to impose tariffs within 90 days, a move Brussels has vowed to parry with its own set of counter-tariffs. Washington already has used the national security argument to impose steep tariffs on steel and aluminum imports, drawing instant retaliation from the EU, Canada, Mexico and China. In one of many aggressive moves against US trading partners, Trump, who boasts that he favours tariffs, has threatened 25 per cent duties on European autos, especially targeting Germany, which he says has harmed the American car industry. Trump reached a truce with the EU following a meeting last July with European Commission President Jean-Claude Juncker but on Wednesday expressed frustration with the state of talks. "We're trying to make a deal," Trump said. "They're very tough to make a deal with, the EU. They've been very difficult over a period of time, over many, many years." However, negotiations with the EU have not yet begun. The European Commission must seek approval from member states on a negotiating mandate before it can enter into talks. EU trade ministers will meet in Bucharest on Thursday and Friday to review the proposal. 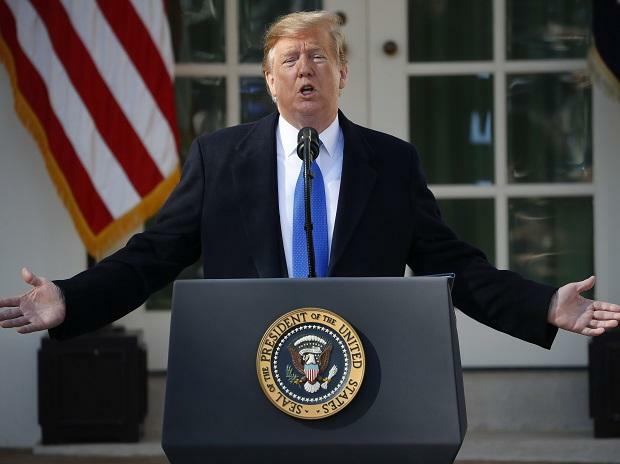 But the sides have differences over what is to be included: the US negotiating goals include agriculture, while EU officials insist that will be off limits, and talks will be restricted to industrial goods and regulatory issues. The White House is also locked in tough, high-stakes negotiations with China to find a way to resolve the conflict that saw punishing tariffs exchanged between Beijing and Washington.